I saw the truck last week outside the plant. Interesting arrangement there. It appears to be a steel-fendered DM600 with the air cleaner moved under the hood and the hood fitted to the width of the cab rather than the (removed or never there) right side cowling. 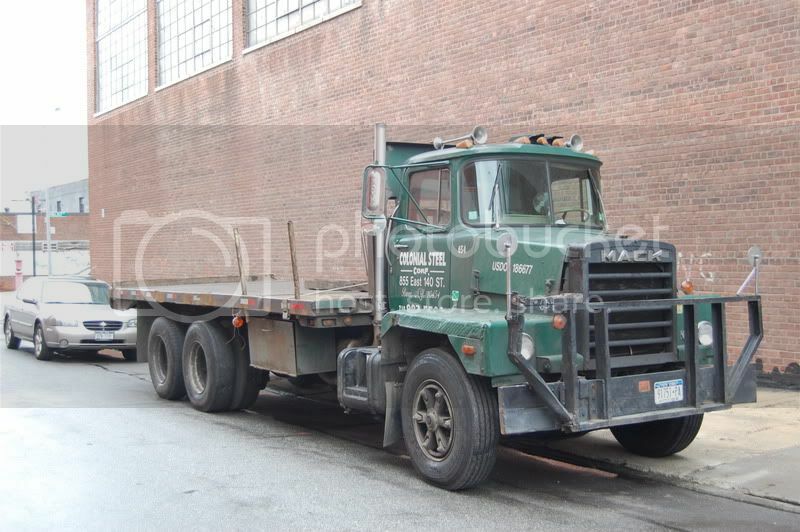 All of the Mack steel haulers in this area were steel-fender R600's. I've never seen anything like this before. I wonder is it a factory job or an aftermarket modification?